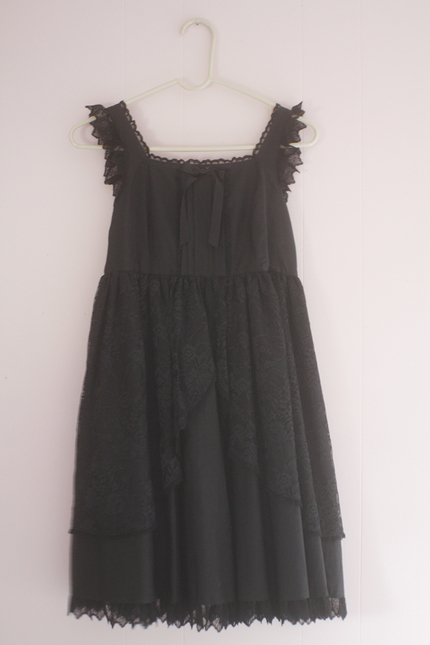 Great condition~ Second hand dress, worn a couple of times. 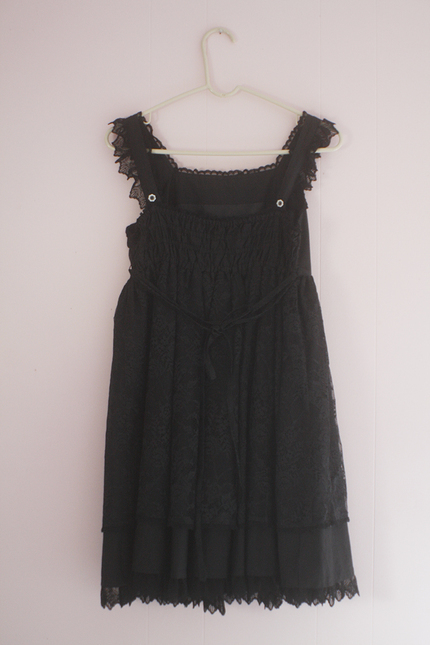 Cute monochromatic black dress with soft lace overlay. Includes waist ties, and back shirring (no zipper), very easy to wear. Ribbon on chest is detachable. 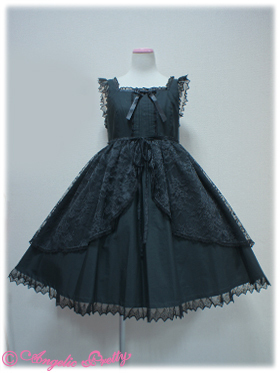 Perfect for kuro themed coordinates! What's the last picture showing? Hi! 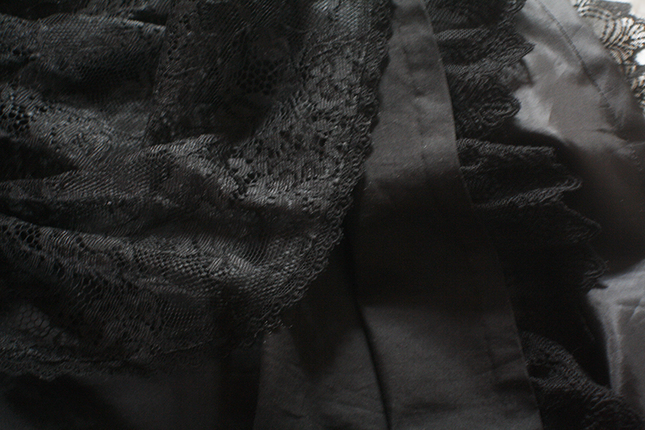 The last picture shows the detail of the lace and lining of the dress skirt.